There are many reasons I am excited about Mary-Louise Parker’s new memoir, Dear Mr. You. The book is how I imagine Mary-Louise herself to be: quirky, playful, smart, a little trippy at times. 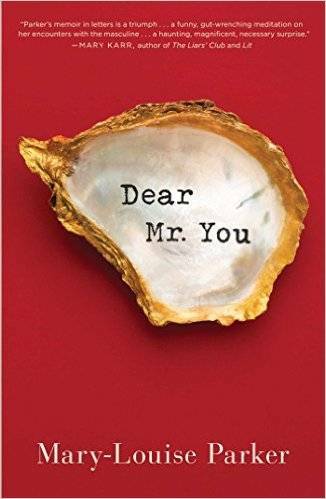 I read Dear Mr. You a few months ago, and I can’t wait to get to talk about it with others who will also finally get to read it. And also, let’s face it – I’m human, after all! – to speculate together on the identities of some of the men about whom she writes but, very classily, doesn’t name. I met Rob in person on the book tour for Stories I Only Tell My Friends, and he was personable, fun, and willing to engage with as many fans as he could. I also didn’t know it was possible for a person to be that good-looking in actual real life; it took me a little while to recover. But I digress. This was a (mostly) self-aware autobiography, with some interesting tidbits about The West Wing. If you’re curious about the sudden departure of the lovely and inspiring Sam Seaborn somewhere around the half-way mark of the show, you’ll find some explanation and maybe even some closure here, though there is also a lot that is unsaid, and it left me hoping for resolution and reconciliation. 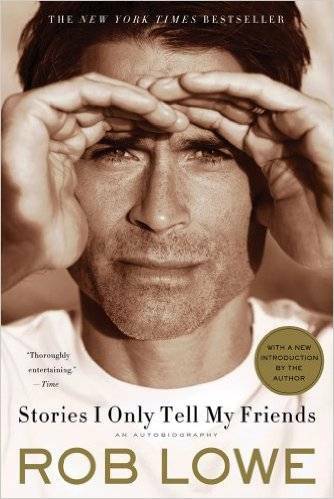 Another thing that Stories I Only Tell My Friends left me wanting was more stories of Rob Lowe’s political campaigning, to which he refers briefly, but from which he moves on far too quickly. Love Life may well scratch this itch a little, with stories of the Arnold Schwarzenegger race; there’s also more on the romance between Lowe and his wife, Cheryl, and on his role as a father to his two sons. 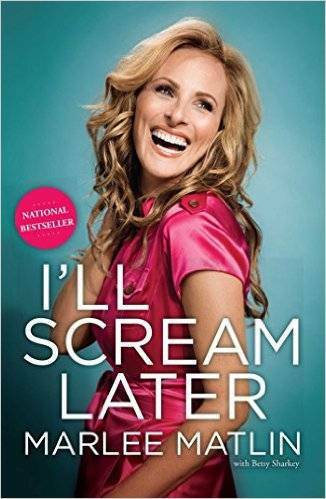 Marlee Matlin is a role model for many in the Deaf community and she is passionate advocate for its fellow members. On The West Wing, she played the wonderful character of Joey Lucas, on whom Josh Lyman has a recurring crush. (Fun fact: when Bradley Whitford is asked what his favourite scene is, he regularly says the one where Joey meets Josh, who is severely hungover, wearing fishing gear – it’s a long story – and expecting Joey to be a man, without a signing interpreter). Anyway, aside from her role in The West Wing, Marlee is pretty remarkable, with an Oscar and a Golden Globe to her name, and she has overcome a host of challenges – from the Hollywood roller-coaster to the battle against addiction. This 2009 memoir is firmly on my to-be-read list. 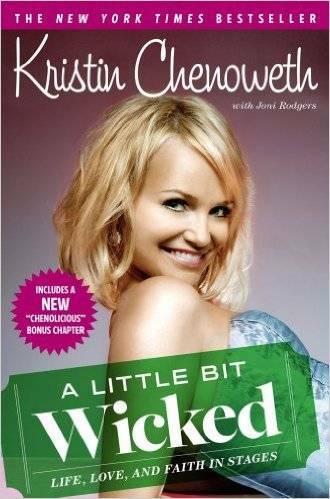 Kristin Chenoweth is an accomplished actress and singer, She’s also, according to Playbill, one of two people Marlee Matlin calls if she has pre-opening night nerves. (The other being Henry Winkler.) Famously (or famously for West Wing nerds, anyway), Kristin dated Aaron Sorkin, who is referred to in this book as “Mr. Writer” and even wrote a section of it. The Harriet/Matt plotline on the sadly short-lived and vastly under-rated Studio Sixty on the Sunset Strip is supposed to be at least a little bit inspired by their relationship. I have to admit that this makes me curious enough to want to read this book, but something else does, too: Kristin is a committed Christian, and that can’t always be easy in Hollywood. I’m interested in what she has to say about navigating the complexities of that.